A very comprehensive talk on learning Morse code and increasing Morse speeds. It includes tips for Morse Trainers and Radio Clubs starting a Morse Group. 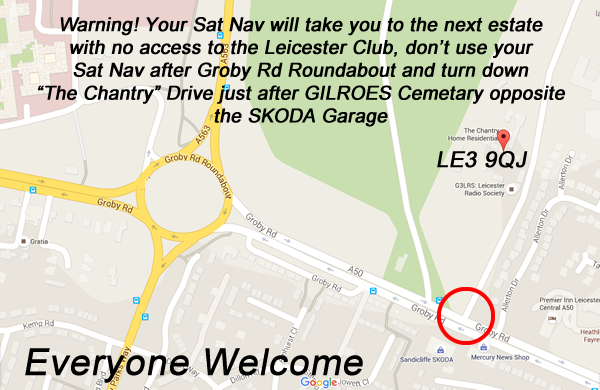 Start time 19:30 and directions to Leicester ARS below, beware of your Sat Nav leading you up the garden path in the next ajacent estate!